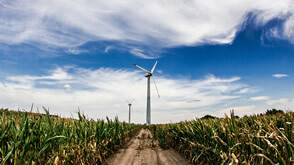 In April 2017, Xcel Energy rolled out a new renewable energy program called Renewable Connect that allows customers to source their electricity from wind and solar energy. Until recently, there was a waiting list, and now the program is again accepting new enrollees. Renewable Connect is a new addition to Xcel’s original renewable energy program, Windsource, which allows customers to source their electricity from wind, and the various community solar options available to customers. CUB has received some questions from customers who want to support renewable energy and are trying to understand the differences between the Renewable Connect and Windsource. Here are some highlights about the programs. We also encourage you to visit Xcel’s website for additional information. Renewable Connect offers month-to-month, 5-year and 10-year subscription plans. The longer the contract, the lower the price. Month-to-month subscribers can cancel anytime with a 30-day notice; early termination fees apply to 5-year and 10-year contract terms. Windsource requires a 12-month commitment and then the subscription will continue month to month and can be terminated with a 30-day notice. Participants of both programs know the renewable energy they’re getting is above and beyond Xcel’s government requirements, because Xcel retires Renewable Energy Credits (RECs) for all of the electricity that’s subscribed. Both programs offer an easy way for consumers to participate in renewable energy, without a large upfront investment and with short-term commitment options. Neither program promotes participation as a money-saving strategy. Both programs charge a small premium to participate. The amount of premium can vary based on the actual cost of fuel used at Xcel’s power plants in a given month. The fuel charge is credited back on bills of Xcel customers participating in Windsource and Renewable Connect, because those customers don’t use fuel. Below is a table that outlines the approximate monthly premium paid in 2017 for an average residential customer using 800 kWh of electricity. Renewable Connect uses both wind and solar generation; Windsource comes solely from wind. *Prices will vary over the 5 and 10 year contracts. See Xcel’s website for more information. Please visit Xcel’s Renewable Connect and Windsource websites for additional information and details, and feel free to contact me (651-300-4701 or carmenc@cubminnesota.org) if you’d like to talk over your choices. And remember – the cleanest and cheapest energy is the energy you don’t use in the first place. No matter what energy option you choose, make sure to take advantage of all of the cost-effective energy efficiency opportunities in your home. 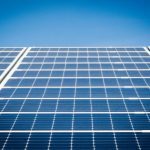 5 Responses to "Xcel Energy Offers Two Renewable Energy Programs"
Well written article … Good explanation and example. How do the renewable sources purchased compare in price to renewables Xcel buys anyway? There have been many news stories lately featuring Xcel CEO Ben Fowke saying that wind is their cheapest resources. So why am I paying more? Xcel’s latest rate increase was underway when CUB was formed, so we didn’t intervene in that case, and I don’t know the ins and outs of what went into the justification for the rate increase. But when renewables are the most cost-effective choice — which they often are — the utility should choose them for their power supply for all customers. When particular customers would like renewable power beyond the utility’s standard power mix (in other words, beyond what is the lowest-cost power at the time), that’s when it’s appropriate to have an additional charge to cover the cost of that additional renewable power. When CUB looks at proposals for “green pricing” programs like this in the future, we’ll have this in mind to make sure customers are getting their money’s worth and maximizing clean energy. Can I sill sign up for either program? How many acres are necessary to have solar panels installed? Within Eden Prairie City Limits? permits required? Who pays? Last month our electric bill was 323.50. Is that normal or excessive? It goes down in Summer, by about !00. Will this work for us? That’s a high bill! I will contact you.